Everyone has a number that they consider their “Lucky Number”. I’ve bounced this number around many times…sometimes its 17 (my birth day)…sometimes its 5 (my birth month)…but I’ve always been drawn to the number 13. 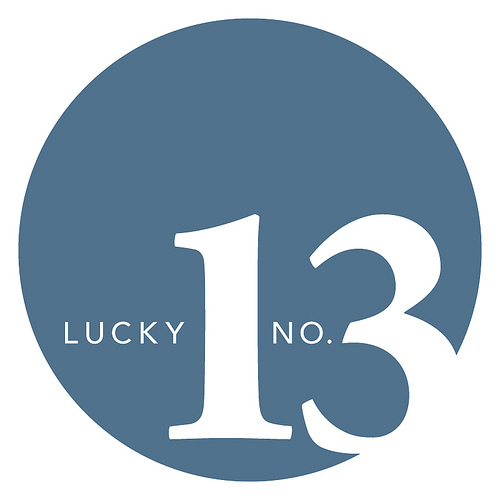 Even in my search for family records, 13 seems to be my lucky number. Growing up I remember hearing a story that my great grandfather was one of 13 brothers that were all Sicilian Mounted Police. I don’t know if that story is true or not because I have not been able to find any generation with 13 male children, but its an intriguing story. I even have to laugh a bit because my cousins remember a different story with the great grandfather being on a different family line. Someday, maybe I’ll be able to figure that one out….but it still reminds me that the number 13 is tapping me on the shoulder. 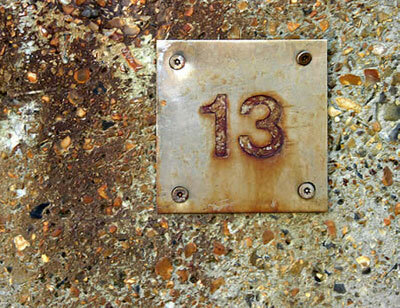 Well…recently, I hit the number 13 again in my research. I had just returned home from a local Genealogy Society meeting, grabbed a few snacks, and settled down with my computer. I wanted to run some searches with my “Minelli” surname….again. Earlier in the day I had received a full translation of my Great Grandfather, Ferdinando’s birth record and the family was on my mind. Ferdinando had been given up at birth and I finally had, not only the quick translation of the document, but a word for word translation of it. It was the midwife that stated his name was to be Ferdinando and his surname Minelli. Maybe this name had something to do with the family after all. There might still be hope of finding out who his parents were. I wanted to see what other MInelli’s were nearby to the town of Castrovillari, Cosenza, Calabria, Italy. So…I did like I had done a dozen times in the past year…click, click, click…..nothing…..click, click, click….nothing…over and over again. Everything I was finding was the same stuff. The stuff I already knew and had verified. Now what? The kids….lets look for info on the kids! That would keep me busy for a while and maybe give me something that I didn’t already have. So…I grabbed my files to see what I already knew and what was already in the files (I hate thinking I found something new, only to find out I had just overlooked it before). I knew that Ferdinando and his wife, Maria Somma, had 12 kids. Well…at least I had documented the births of 12. I also knew that I had one death certificate and one of those children I assumed died before they immigrated to the US, as I have no record of that child coming here. I also had one…their last child born…that I have no clue what happened to her. She was born in 1913 (hmmm….is that a “13”?) but was not on the 1920 census…and I have not found a death certificate for her. So…here I sit, with the files of the “kids” spread out on my bed. Yes, I love to research while I’m curled up in bed in fuzzy jammies and a nice warm blanket on my bed (I live in Northern Michigan so it gets pretty cold here sometimes). I start flipping thru the files….Theresina (Theresa)…Michele (Mike)…Pilerio (Lawrence)…Rosina (Rosie)…Natale (Nato)…Francescadina (Frances – my grandmother)…Giuseppina (Josephine)…Frances Rosario Pasquale (Birth in Italy, but not immigrated and no death record yet)….Carmelo (born and died in 1896)…Sam…Annie…and Antonia. That’s 12 kids…WHEW!! I knew the least about Carmelo and Frances…They were both born early in Ferdinando and Maria’s marriage. Carmelo died as an infant. I had his death registry. Frances I also assumed has died before the family immigrated to the US because there is no record of him on a ships manifest or in any census records after they arrived here. So I started with these two children. Carmelo’s records were BAD copies…so I wondered if I could find them online and at least save them differently (I had found them on microfilm at the Family History Library during my trip to Salt Lake City in 2011). So I started with Carmelo…. Now, anyone that has ever searched for records online knows the procedure….enter in basic information…wait for the results to pop up…refine your search…find nothing…go back and redo your search…over and over again. All while hoping for a small hint of a relative. I entered in “CARMELO MINELLI” in the search fields…pressed enter….WOW…a lot of hits on this one. So I scanned the list…nope…nope…nope…maybe….click….nope….go back…over and over. Then I saw a manifest into Ellis Island. Hmmm…I wonder….who this might be…City says Cosenza, which is the right area. And I knew that when I found the children’s birth record EVERY Minelli in Cosenza was this family…Fingers crossed. Then I realized it said CARMELA….not CARMELO. Female child not male. Darn it….I was looking for a male child…but I looked anyway. It said line 11…yep, there was Carmela…Female…age 16 (really?!?!?! )…I don’t have a Carmela…maybe its another family. So I kept looking….Name and address of nearest relative or friend in country where alien came from….Grandfather Giuseppe Somma!!!! THAT’S MY GREAT GREAT GRANDFATHER!!!! I FOUND ANOTHER CHILD!!! NUMBER 13!!! I couldn’t believe what I was reading. I had just found the answer to another family story! I had talked with my cousin Sissy about 3 weeks ago. She told me she remembered her mom talking about a sister that had immigrated with the family to the US (to Chicago, specifically), and had gone back to Italy to get married. I had heard this story before, but nobody could remember her name. I think I might have just found her!!! The best part is….I now added another family member…I had an Aunt Carmela. She is my new Lucky Number 13! Now I just have to find out what happened to her…who did she marry? Did she have children? Is she related to the Minelli’s that currently live in Cosenza? Am I related to them too? There are always more questions to answer! I’m off to find more answers…be back soon!